As your Member of Parliament, I’m writing to you to express my concern over the Government’s proposed legislation, Bill C-71, An Act to amend certain Acts and Regulations in relation to firearms, which will make life harder for our law-abiding gun owners. Our Conservative Caucus believes that the safety and security of Canadians should be the number one priority for government. However, the Liberals say that they’ve introduced Bill C-71 in an attempt to tackle criminals. Yet the legislation has no new measures to address the gun and gang violence in our cities nor the escalating crime rates in our rural communities. All this legislation does is create a federal registrar to keep records on law-abiding firearms owners. The Liberals are trying to fool Canadians, saying that they aren’t creating a new gun registry. By definition, registrars keep registries. This is nothing more than the Liberals trying to re-introduce the wasteful and ineffective long-gun registry through the back door. As Conservatives, we believe in fighting criminal elements and fighting criminals who use guns to commit violent crimes, not attacking our farmers, hunters and sportsmen. We will never support legislation that targets honest law-abiding firearms owners and treats them like criminals. Thank you for listening to my concerns, and I welcome any thoughts that you may have. If you share my concerns, I urge you to make your voice heard in the consultation process by signing the petition and mailing it back to my Ottawa Office postage free. 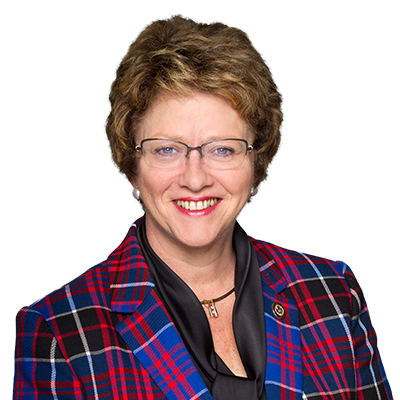 The Honourable Diane Finley, P.C., M.P.